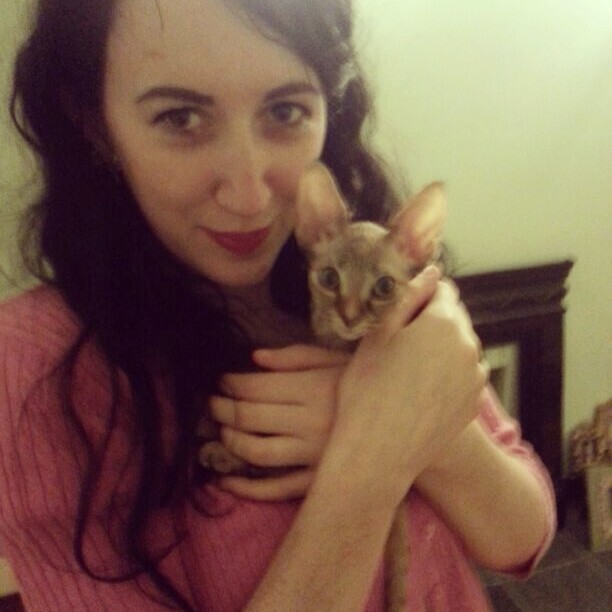 Say hello to our beautiful Devon Rex kitten, Inca. We collected her on Friday night after visiting her and her mummy the weekend previous. 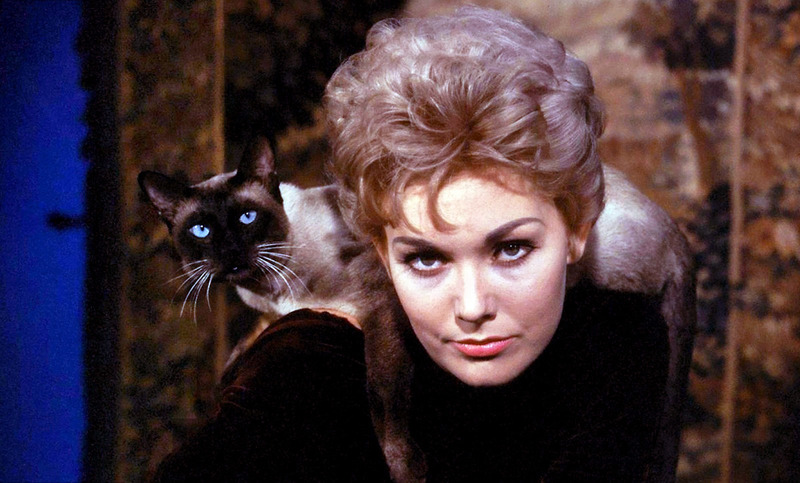 My daydream of a 'prerequisite' for a cat was one that sits on my shoulder, a la Pyewacket in Bell Book and Candle, so when I read up on Rexs and discovered that that was one of their traits, not to mention that they are like monkeys in cat suits and have a very canine personality, you can imagine I was quite excited about the prospect of being lucky enough to own one. The breeders are absolutely lovely and you can tell she has come from a loving home, they were located in Chesterfield, so the journey there was nice and scenic. 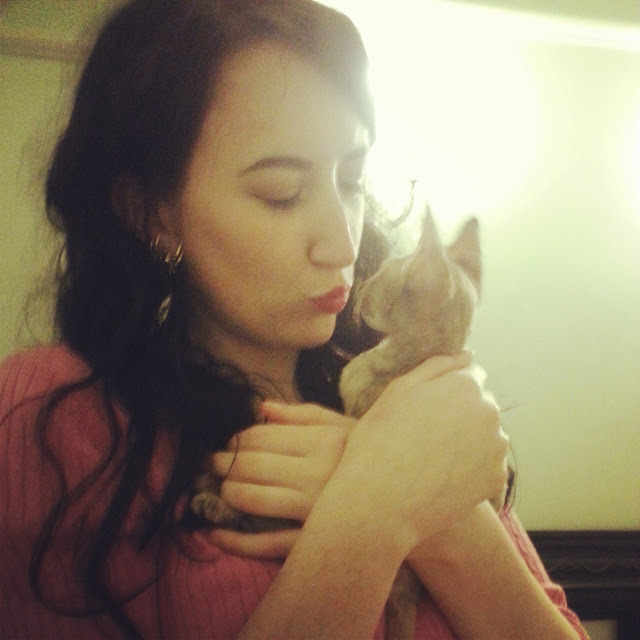 Inca is so mischievous and loving, and I am completely and utterly besotted, I am struggling to leave the house now. You will be pleased to know this little treasure loves nothing more than sitting on our shoulders or head, normally when we are cooking! What a cutie! Her big ears are killing me. Congrats on your new kitty, you lucky gal. I'm so pleased for you,there's nothing quite like kitty love! Oh. My. Goodness! How totally incredibly adorable!!! How beautiful she is! Noting that breed down for the future; I'd really love an affectionate, playful cat. Ah, Inka is the most wonderful cat in the world! Hello - I love you! What a beautiful baby! 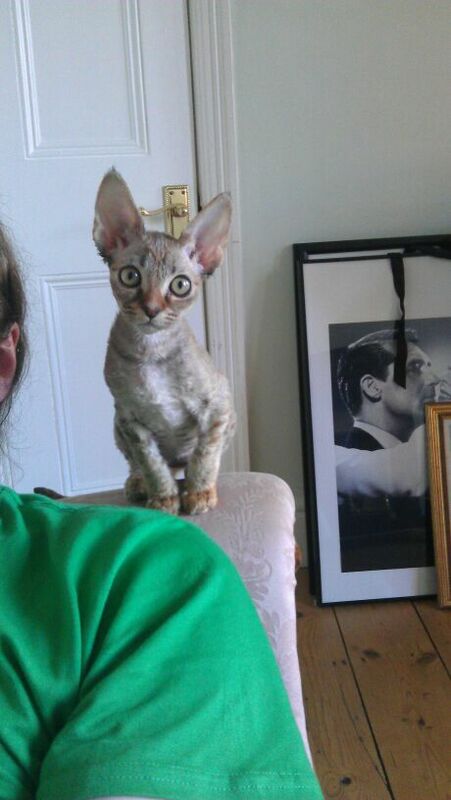 She is just gorgeous and I love those great big ears. 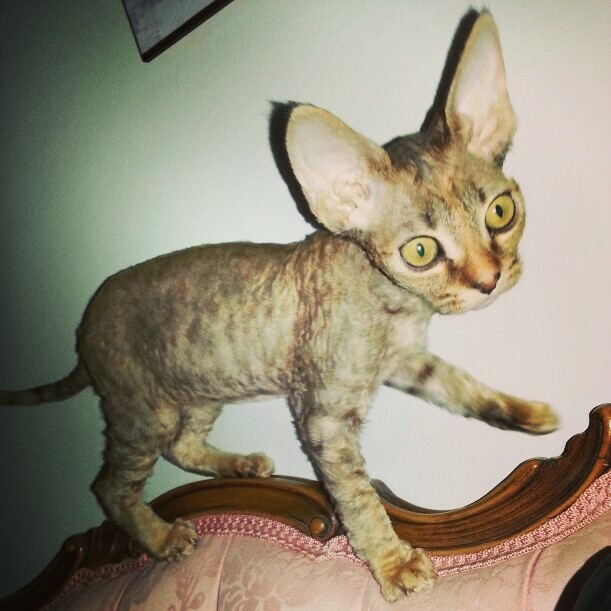 My aunt has two Devon Rex fur babies and they are both so neat, very curly and they have such interesting personalities! Hello darling baby kitty, you are so pur-fectly magnificent!! !